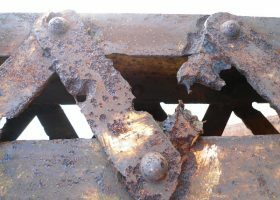 Joe Myles disrupted a concrete pour so badly at a major government-funded construction site that the two batches of concrete “cooked” and could no longer be used, FWBC is alleging in the Federal Court. 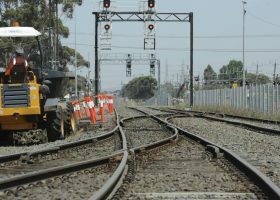 CFMEU officials Joe Myles and Drew MacDonald and the CFMEU are all facing the Federal Court for their alleged unlawful conduct at the taxpayer-funded $4.3 billion Regional Rail Link Package C Project in Footscray, Victoria. FWBC is alleging Mr Myles broke the law on 10 occasions, Mr MacDonald on four occasions, and the CFMEU on 14 occasions. As well as disrupting a concrete pour, the CFMEU officials allegedly flouted safety laws on the site. FWBC alleges Mr Myles maneuvered himself underneath black and yellow safety tape which marked off an unsafe, out-of-bounds area. Mr Myles allegedly had no need to be in the area and continued walking through it after a site manager told him he was not allowed there. Mr MacDonald allegedly lifted back the black and yellow safety tape and followed Mr Myles into the unsafe area. Mr Myles allegedly had conversations with a concrete pump operator and other workers, which caused the pouring and laying of concrete to cease in the area. Mr Myles allegedly blocked another concrete truck from pouring concrete by standing between the truck and the pump. The concrete subsequently “cooked”. FWBC Director Nigel Hadgkiss said he was becoming increasingly worried with reports of CFMEU officials refusing to obey safety laws while conducting site visits. The maximum penalties available to the Court in this case per breach are $10,200 for an individual, and $51,000 for a union. A directions hearing is scheduled for 6 March 2015 in the Federal Court.